Opel as a company has a strong need for ongoing visibility – only a few can be winners in a changing automotive industry filled with similar brands. Nevertheless, year after year Opel continues to stay near the top of the list of the most popular brands of car – and sometimes staying at number one. 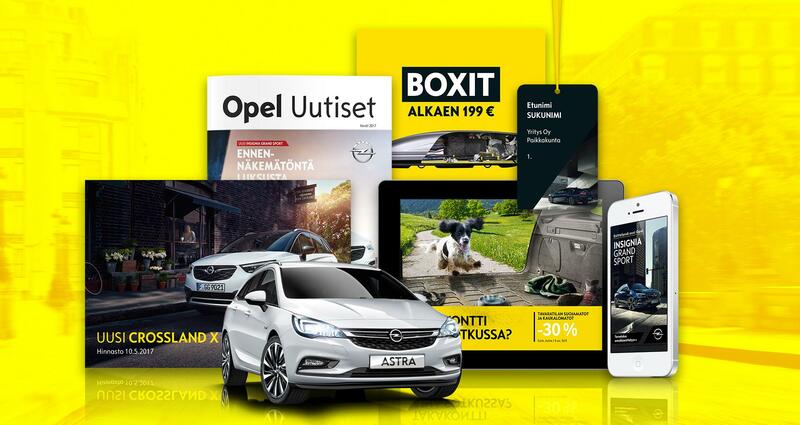 Ubiquitous advertising in various media plays an important role in the visibility of Opel and its dealers. Today’s media is filled with abundant content, and so an advertising film that is simply imported from abroad and played on Finnish television is not enough to ensure even the strongest car brand will remain at the forefront of people’s awareness. Hard work is needed and the folks at Staart know what it’s all about.